I thought this week i would play around a bit with some KORG Gadget stuff i've been playing live a couple times in 2017. In those live perfs i'd normally have some other external synths (typically a Roland A-01) playing leads over top, but this time i thought i'd try setting up MIDI-controlled instruments inside Gadget itself alongside the song projects, and controlling them with my mini keyboard/controller. the "live modules" include an instance of Berlin, used not only for the low acid sweeps in the first third of the song, but for the high leads in the last third. the only difference is the manipulation of MIDI CC values to get it sounding FM-like at times. The rhodes keyboards are thanks to the Montreal module. Anyway this is a pretty messy livejam, nothing super gamechanging, just me wandering about using the Gadget synths. 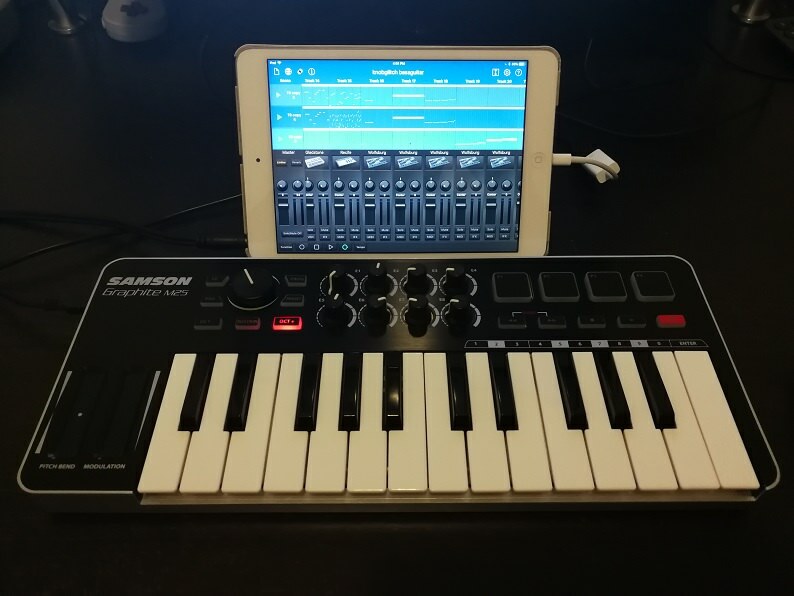 I'm liking this is a compact solution not only for improvising during live performances, but also as a no-nonsense sketchpad for musical ideas that i can toss in a bag and take with me to a coffee shop for an afternoon. What a nice set up! Shoutouts to surfcore. Crazy change up at around 40%. I really like that. Reminds me of the Roni Size super spaced-out breakdowns. Thumbs up. I'm floating on this groove! I definitely need to do some WB's with Gadget this year. I'm floating on this groove! I definitely need to do some WB's with Gadget this year. The whole Gadget setup is pretty whack, but you always seem to get amazing tracks out of it!! I like where this goes at the half way mark. Although where's all the hiss coming from at the half way mark - 8 bit samples? Yeah, digging this last bit totes - totes boppy. Beautiful up and down and all the way through. Great track from a live jam. this is a really nice journey.